Opinion: Never Burn A Bridge- Especially In 2009! I was reminded recently by a long time friend and peer to post a personal posts on occasion. The last 20 posts have been anything but personal really. Initially, I was going to talk today about the need an equal balance within Social Media- a conversation for another day I suppose. Ultimately I decided to speak about an observation I had over the weekend. I am going to be announcing a change before long, but how that shift occurred is due to never closing doors. In my professional career I have never closed a door with any organization. In fact, I have made a conscious effort through LinkedIn, email, Twitter to keep past co workers and peers engaged. Because of that commitment a new opportunity fell into my lap that I am excited about. Blogging Transparently- A Lesson From The Weekend! 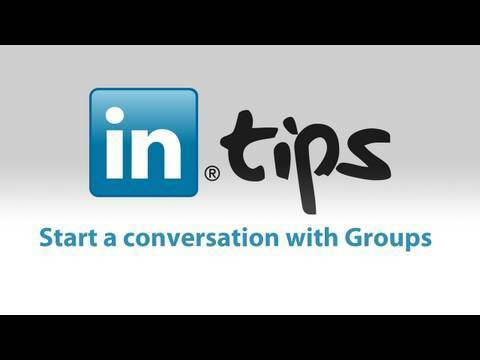 Over the weekend I was invited by a fellow LinkedIn Group member to join the conversation on her blog. I get a number of these requests, but the content of the blog revolved around Baby Boomers and is relevant to retention management. Not to mention, the way she asked me to join the conversation was passionate, well thought out and did a great job of drawing me in. I thought this would be a stellar opportunity to document how to blog successfully in the business world. The blog she posted was politically sparked and had a great deal to say. Most of it being her opinion backed on some fact. The comments that followed seemed to stay within the friendly confines of her political outlook, so I decided to post my two cents. I disagreed with some of the blog as well as the comments- but it was a very good conversation. Not being a Baby Boomer I felt like I was a bit disqualified to comment, but because she asked I threw my comment into the ring. My response was four paragraphs of my experiences and opinions based on my 12 years in the work force. What followed saddened me! The blogger followed up my comment with a email diatribe of how she was not going to allow my comment to be posted and went into how I was dead wrong with my opinion. Also my stance on her political view was also simply put- wrong! I spent yesterday processing what she wrote. I was so impressed with how she drew me into her blog. Yet- because I didn’t match her opinion and political view I was banned? Instead of allowing my comment and posting her opinion back she simply stifled the conversation? I am not going to live in a world of absolutes and say what she did was wrong. But it certainly did not spark a positive response from me. When blogging you want to be as transparent as possible! Unless the blog comment is spam, or has defaming qualities- there is no need to moderate blog comments. In my time as a community manager and running numerous blogs for Fortune 500’s, I have never once edited or deleted a comment or user blog- even if I whole heartedly disagreed with the message. The reason being is it creates the exact feelings I was feeling yesterday. Under appreciated! Annoyed that I wasted my time! Not to mention, I will never go to this person’s blog again to comment, nor will she receive any form of link back from my blog. No Tweets! I am not doing this to be vindictive, but the fact of the matter is that Social Media is supposed to be empowering. Not stifling! If you empower interactions you will see business value! I see it every day with my clients. Empowering will help you build better relationships! Empowering will build affinity with your peers, customers and partners. Being transparent and respectfully disagreeing is far more productive than simply ending the conversation in a direct message. Spark the debate and let others with different opinions be heard. This will build mutual respect and stronger bonds that will help you and your business down the road. Agreeing to disagree in the new business world is even more valuable then agreeing. To the blogger: A+ on marketing to your group! Kudos! Being a transparent blogger that allows free flowing opinions and interactions= Fail! My hope is this post will help both companies and individuals alike think about Social Media in a more transparent way. Corporate policy on Social Media to me inhibits critical 2 way conversations. The blog experience from this weekend only proves that “policy” or imposing restrictions ends the conversation before it even starts. What is more important is how you spark those conversations and react to negative sentiment or disagreeing points of view. Don’t shut it down, put the resources in place to react and inspire- even if it doesn’t jive with your opinion. Here is a little graphic I put together that sums up the post.